A wide selection of offices and meeting rooms of various sizes is available in a dynamic area. Close to shopping centres and sport facilities, these office spaces are provided with air-conditioning, parking facilities and fitness centre. They enjoy a stunning view over the city and benefit from an excellent location. There are many local transport links within reach so that commutes are always easy. Offering a high-class business environment in a prestigious well-appointed building. This office hotel is centred on collaboration and networking, and provides an excellent range of services to complement your business. This address is just a few moments from the centre of Stockholm. In addition, there are administrative and IT support to help keep your business stay well connected throughout working hours. This centre offers a selection of modern offices and fully equipped meeting rooms; available in one of the most prestigious areas of Stockholm. Centrally located, they are surrounded by numerous services, shops, restaurants and hotels. The area provides a number of excellent transport links so commutes will always be straight-forward. There is also a park close by where you can relax during lunch breaks. This fantastic and exquisitely furnished business centre presents the perfect working environment for professional tenants and client requirements of all kinds and backgrounds. Offering beautiful interiors, high quality facilities and an extensive variety of exclusive, client-only benefits such as the fitness centre and on-site health club; this business centre provides some of the city's very best workspace solutions for private, co-working, meeting space and event venue requirments. This recently opened centre gives you access to a range of high-quality office equipment and services with an option of private offices and co-working space. This modern and flexible work-space benefits from Wifi, meeting rooms, printing and copying facilities and unlimited tea and coffee. 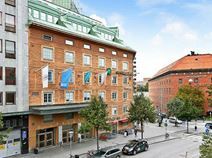 The office is within a vibrant community within Stockholm where you have instant access to central station, city terminal and Arlanda Express station. You will have also have access to many local amenities including hotels, restaurants, bars and cafes which are all just minutes away on foot. Colored by the infamous sights and sounds of central Stockholm, this office space in Norrmalm offers a creative oasis with a dynamic address. In addition to the centre's hallmark amenities like front desk service, private offices, and unique conference rooms, the onsite showers and convenient bike storage at this dog-friendly location are sure to elevate your everyday. The laid-back cafes and expansive pathways of Kungsträdgården park are just a few minutes away. Plus, a variety of bus and train lines nearby make it easy to stay connected throughout the city. Whether you’re looking to launch a new venture or expand your operations, our coworking space near Sergel's Square is sure to set you up for success. 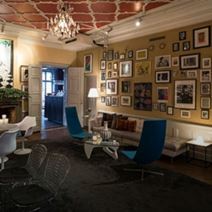 Located in an attractive and dynamic business district of Stockholm, which hosts leading companies, these fully equipped office spaces benefit from a variety of facilities, including in-house restaurant, parking facilities, meeting and conference rooms, all sophisticatedly furnished and modernly designed. The office spaces are available at a very convenient price which includes electricity and heating costs. The district offers numerous amenities and services and enjoys an excellent location, well served by public transport and close to the city centre. Located in the heart of Stockholm right above the central train station, this business centre offers a range of quiet, luxurious and relaxing work stations which benefit from excellent facilities. All work stations have access to high speed internet, printing facilities, concierge services as well as complimentary monday breakfast and beverages. The centre is easily accessible by public transport with trains and buses passing through the area frequently. There is also a selection of restaurants, cafes and bars right on your doorstep. This central Stockholm business centre is close to companies from a variety of industries including real estate and finance. The renovated former school provides a unique home for a choice of serviced offices. There is IT support on-site to keep businesses well connected, as well as a fully fitted kitchen in which one can recharge to stay focused throughout the day. Just across the road stands Humlegården, where you can relax during lunch breaks, and Konferens Spårvagnshallarna conference centre in just 5 minutes away by foot. Just off the city centre, this recently renewed building is set in a wonderful natural bay, well connected to the airport and to the major motorway junctions. It consists of modern offices, spacious lounge areas, parking facilities and a full range of facilities to help you run a successful business. The centre is also accessible 24/7, allowing you to work through late hours. Within walking distance, you can reach the Museum of Zoology, a health club, and a wide range of picturesque tourist hot spots where you can relax or accommodate your visiting clients. Opening at the end of 2019, this modern business space in the heart of Stockholm provides a brand-new and modern coworking space. The centre offers professional and flexible workspace solutions, with access to meeting rooms and a range of facilities. With 24 hour access you can work at your own pace and around the clock. You can also easily access conference rooms, printing facilities and a gym within the building. Set to open its doors in early 2021, this brand-new modern business space will be the largest coworking space offered in Sweden. With an impressive selection of coworking spaces, private offices and flexible membership options, this space will be much more than a professional and comfortable place to work. The centre offers a stunning 800sqm terrace where you can enjoy great views of the city. On-site staff are available to support you throughout the day and ensure your week runs smoothly. This brand-new business centre is set to open its doors in September 2019, in the heart of Stockholm. This business centre offers great co-working options and private office facilities, spreading across 2 floors in a revamped building. The building offers a range of amenities including complimentary coffee, private phone booths, printing facilities, high speed internet connectivity and much more. The centre is easily accessible with the nearest metro station only 200 metres away. Almost all of Sweden’s major companies have their headquarters in Stockholm, and this centre, situated in the city centre of this renowned business hub, has one of the most prestigious addresses in the cit. This centre provides full equipped offices with spacious common areas and high ceilings for a prestigious presence. This centre has been carefully refurbished and the offices are ready for immediate occupation! This space is located in the fast growing Alvik district of Stockholm, where you can work surrounded by the tranquillity found in the suburbs, with the city centre just a few minutes away. Take space in this centre and benefit from all the modern conveniences, including high=speed internet, ergonomic furniture, plus a communal kitchen with tea and coffee making facilities. Taking space in this location opens you up to amenities including an on-site reception service - ideal for meeting and greeting guests and staff alike. All-inclusive pricing and flexible terms are available in this brand new, up-and-coming space. 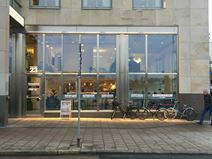 Conveniently situated in the centre of Stockholm within easy reach of public transport and social amenities, this business centre offers all-inclusive co-working space including reception services. The centre are also an event agency that arranges everything from workshops to rolling out the red carpet for the Swedish Grammy Awards. At this prestigious centre, you will be well provided with quality services as well as a strategic business address. 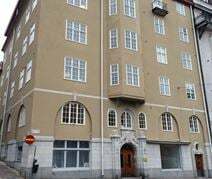 An impressive centre situated in Stockholm, providing a range of furnished office-spaces available to let on flexible terms. Aspiring tenants can benefit from the 24-hour access, communal areas, meeting roms, conferencing and showering facilities. In addition, the local area is well connected in terms of public transport, with useful tram, bus and ferry connections circulating the area frequently. There are also plenty of activities to be enjoyed in the immediate vicinity including a ski resort and sports stadium. Strongly promoting entrepreneurship and the sharing of ideas and skills this co-working space with a café is famed for its great coffee and provides 15 co-working seats as well as two meeting rooms in a trendy and cultural part of Stockholm. It stands in a prestigious area of the city, with an opera house directly in front of the centre. You can surely benefit from the vicinity's high footfall as well as the quality services provided here. 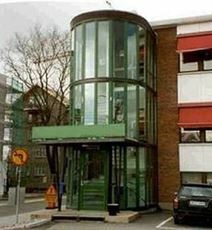 This two storey business centre is located outside of Stockholm. Here you can make use of common areas like the kitchen and break out space, and with 24-hour access, you can work through late hours with ease. There is also an conference room on-site for collaborative projects and negotiations. Close by, there is an abundance of local transport links and eateries at which you can entertain your clients or spend your lunch breaks. This workspace offers the options of both co-working space and private offices. Here, you can also make use of the on-site meeting and conference rooms which come fully equipped with the latest technology, catering can also be provided if needed. As well as all the quality facilities above, the space is accessible 24/7 so is well suited for any kind of business needs. Within the immediate area, there are many cafes, bars and restaurants for you to try out on a lunch time or during a business meeting with a client. This centre offers bright and modern offices available in different sizes, ranging from one-person office to larger open-plan office space for up to 5 people. The offices are fully furnished with high quality furniture and high speed internet is available from the first day. Most lunch restaurants and bars are within easy walking distance of the office hotel which are perfect for impressing your clients or after-work-drinks. Membership with this centre gives you free access to all of the business centres locations. You will also have access to fully equipped meeting and conference rooms of various sizes. The private offices that are on offer are excellent option if you need a private secure space. They are available in different sizes and come with ergonomic furniture of top quality, the latest technology and international design. One of the largest clusters of IT and Telecom companies gathered in a compact surface in Europe, the third largest in the world. Close to Kista Centrum, commonly known as "Sweden"s Silicon Valley" this newly built business centre provides a range of serviced offices, as well as creative meeting rooms and lounge areas in an area made up of many different companies, restaurants, stores and gyms. There is parking space close to the centre to give your peace of mind on your commutes. The spaces come elegantly furnished, with an abundance of natural light to promote productivity and keep you refreshed throughout your working day. To ensure your day runs as smoothly as possible, there is an on-site administration team to provide administrative and secretarial support with mail handling, telephone answering and reception services. 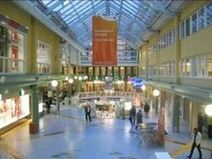 With Stockholm’s largest department store, Åhléns city located right across the street, The Stockholm City is situated right in the hustle and bustle of the city, with immediate access to all kind of transports, restaurants, shopping, hotels, cultural and social events etc. Located in the most important business district of Stockholm, these offices are available at flexible rental terms to meet any of your business need. The offices are fully furnished, sophisticatedly designed, equipped with state-of-the-art technology and benefits from a full range of services and a highly professional support staff. Surrounded by international companies, banks, luxurious hotels, restaurants and fitness facilities, this centre enjoys an excellent location, ideal for any successful business. With both state-of-the-art office space and dynamic meeting spaces, this business centre is strategically located next to Stockholm Central Station and has an emphasis on collaboration, sustainability, inspiration and openness. Its amenities include 24 hour access for your convenience, as well as furnished offices with hot desks and IT support so you can set up your business with a turnkey solution that will keep you well connected. There is also a board room in which you can convene meetings and training seminars. The space is accessible Mon-Fri 0800-1800. There is access to on-site meeting rooms that come with a 20% discount with the Gold Membership Package. You can make use of the free printing facilities here also. being located in a cafe means you don't need to go far for your lunch, an added perk is that you also get 20% off all food and drink! Surrounding areas offer many local cafes, bars and restaurants for you to make use of on a lunch time or on an evening. This centre benefits from a vast array of local amenities as well as excellent services that will enable your company to work in a creative and inspiring work environment. There is a range of offices in varying sizes, accommodating businesses of any background. You can take advantage of the high-speed internet provided, as well as access to conference facilities and meeting rooms for collaborative projects, negotiations and training seminars. A selection of fully equipped offices and spacious meeting rooms is available within a business centre set in a key location, close to the railway station and well connected to the airport. This centre offers a wide selection of facilities and services: business lounge with touchdown stations, videoconferencing facilities, state-of-the-art technology systems, parking facilities, a restaurant, café and gym. The centre hosts many leading companies and is surrounded by numerous offices, cultural facilities, restaurants, hotels and shops. A range of offices is available to suit your needs, from small one-person spaces to larger areas suitable for teams. It is highly accommodating and adaptable, with comfortable conference facilities for easy access to collaborative meetings and presentations. The centre's district holds many other businesses with which to network, as well as local transport links for easy commutes. There are many restaurants and several fitness centres within walking distance. Less than a 10-minute walk from Stockholm Central Station this business centre is surrounded by top IT, technology, and telecoms companies. On offer are a great mix of private offices, co-working and virtual office solutions. To keep you connected, this centre offers shared internet, with IT support on-hand to assist you. There are also reception services available. This well-situated site also benefits from a huge choice of retailers and restaurants- some on the ground floor of the building! Located in one of the most dynamic and renowned business areas of Stockholm, this centre offers stylish offices and spacious meeting and conference rooms, equipped with state-of-the-art technology and advanced videoconferencing facilities. These office spaces benefit from an elegant business lounge, 24/7 monitoring, parking facilities and relaxing areas. Easily accessible and surrounded by numerous amenities, this centre and this eminent business address offer a very professional working environment. Located in Stockholm"s CBD this business centre provides a choice of co-working and private office space along with conference facilities. This center offer fully equipped and modern meeting and conference rooms of various sizes. Direct connection to NK, Stureplan and the Central Station. 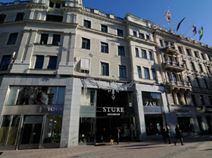 The center is centrally located in Stockholm with direct connection to NK, Stureplan and the Central Station, making it the ideal centre for businesses anticipating international clients. This attractive, modern building offers both co-working and serviced offices on the 4th floor. The private offices are option if you need a private secure space and somewhere quiet to work regularly. You will also have access to fully equipped meeting and conference rooms of various sizes. The closest bus station is only a 1-minute walk and the train station is a 4-minute walk; so you can feel at ease that your journey will be stress free. Located in a prime area of Stockholm and offering many local amenities within walking distance. The offices are available in different sizes and come with ergonomic furniture of top quality, the latest technology and international design. Getting around is quick and easy also with the nearest bus station being a 2-minute walk away and buses running through often. The nearest train station is also only a 5-minute walk away from the building so commuting to work is quick and easy. Clients can enjoy free beer on Fridays, ultra fast internet, printing services and unique furniture that they can personalise to suit their business. Meeting rooms come in a number of different sizes and can be tailored for different uses. On site staff keep the place cleaned on a daily basis and will do all they can to ensure that working there is a quality experience. The centre is close to a vast number of shops, bars and restaurants. Several stations are close by and the centre is near several road links and the city airport. This premium working space in the heart of Stockholm offers a modern and professional working space with a range of flexible and affordable membership options. The building offers great views of the city from a stunning terrace area. Offices are spacious and fully equipped, and come in various sizes making them suitable for any size team. Large windows offer plenty of natural sunlight. The centre is easily accessed both by car and using public transport options. Located in an eye-catching modern office development, and easy to access by road and rail, this stylish office centre enjoys wonderful views and provides a range of office solutions in a comfortable and efficient business environment. There are also meeting rooms in which you can convene collaborative projects or training seminars. Within walking distance you can find many restaurants, hotels and several cultural hot spots. Offices come fully furnished and elegantly designed, with configurable options for the layout. You will also benefit from meeting rooms and communal spaces such as kitchens, break and lounge spaces. Other amenities include high speed internet and telephone lines to keep you connected, as well as access to over 50 million global hot spots and business lounges. Here, you are surrounded by amenities including hotels, gyms and lunch restaurants. 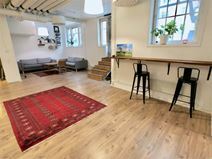 Located in central Stockholm and just a few minutes from St. Eriksplan and Odenplan subway this co-working space is spread over two floors to provide great gallery office space. There are also meeting rooms for up to 10 people with a photography and film studio also available for use. The space also has a dedicated meeting room suitable for 6 people with a large table for creative work and a whiteboard for any presentation requirements. As well as all of the above, the meeting room is equipped with creative and artistic technology including - a big screen photo printer, an industrial laminate machine and frame making machinery. Located in the heart of old town opposite the Royal Palace this co-working community is truly unique. The 17th century castle is a short walk from Stockholm Central Station, surrounded by restaurants and overlooking the water. Golden halls are the ideal location for events and conferences while small and large meeting rooms are also available. The space has a bus stop just outside and the centre is just 400 meters from the central bus and boat stop 'Slussen'. This is a unique opportunity to occupy impressive, professional and stylish offices and conference rooms of various sizes. These office spaces are located in a prestigious area which hosts numerous companies, restaurants and shops and benefit from its vicinity to the city centre and from the excellent transport links. Just minutes away, you can reach the iconic Haga Palace, home to Crown Princess Victoria. This is one of the most attractive and prestigious offices addresses in Stockholm, offering elegant office interiors and inspiring views. A range of spaces is available, all highly adaptable to meet your needs, ideal for companies of any background. In addition, the site is reachable through many transportation links, so commutes are always pleasant and simple. There are many amenities to explore outside of work, such as museums and shopping facilities. Offering options for coworking and private office space in the city centre of Stockholm, this modern business centre is found surrounded by plenty of local amenities to benefit from. Offices are available in various sizes and are fully equipped and furnished for your use. You can also access meeting and conferencing rooms, as well as catering options. With 24 hour access you can work around the clock. There are plenty of public transport links making the centre easily accessible. 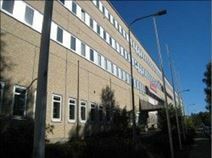 Centrally located in Stockholm, this business centre is situated in one of the most eminent areas of the city. The centre offers office spaces and a full range of services and facilities, including health club, shops, restaurants, lounge areas and dry-cleaning services. It is well connected to the airport and the main railway station.You can explore and enjoy the area, which is abundant in cultural attractions, such as the Royal Swedish Opera House just 10 minutes away. An impressive business centre situated in a great location in Stockholm - providing virtual office-space at affordable rates. Members here can benefit from useful services typical of a conventional office (such as meeting rooms etc), whilst working remotely and expanding their business at a fraction of the cost. The local area is filled with amenities including shops, restaurants, bars and hotels. The centre can also be accessed easily from the Östermalmstorg T-bana metro & train station. Conveniently situated in the centre of Stockholm within easy reach of public transport and social amenities, this business centre offers all-inclusive co-working space including reception services. The Central Station is just a 7 minutes walk away from the office. Just across the road, you can find the Observatorielunden with a beautiful park and garden to explore and enjoy outside of work or during lunch breaks. This creative hub in the heart of Stockholm provides the perfect space for project developments, events, work shops and professional working. With the benefit of communal spaces you an easily become a part of a thriving network of forward-thinking creatives and entrepreneurs. The centre provides a range of perks including communal lunches, football, movie-nights and much more. The building is easily reached with plenty of bus services and metro stations only a short walking distance away. This centre is easily accessible, and close to various good transport links. 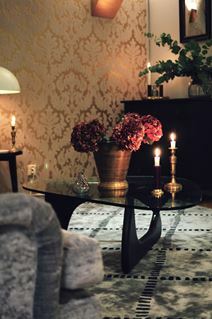 The centre is located on the fourth floor of a practical building in an affluent area of Stockholm. This is a professional business environment; meanwhile, the rest of Stockholm is right outside, from media, technology and finance companies to restaurants and hotels. So whether you’re working, meeting with clients, or relaxing, you’ll find everything you need in the centre or just beyond. Offices and meeting rooms are available in this modern centre, which provides a wide range of services and facilities, including in-house café and parking areas. There is also administrative and IT support to keep you well connected, and also help your business operate as efficiently as possible. Located within a renowned district, these office spaces are surrounded by shops, restaurants, banks, offices and numerous amenities and are close to the railway station and easily accessible from the motorway. This brand new office building provides high quality office facilities in an easy-to-reach location, strategically places to an abundance of transport links. The offices are on the second floor of an impressive business centre. This centre is at close quarters to many links for direct access to the airport; ideal for those with overseas contacts or business. In addition, there are many eateries in close proximity, such as restaurants, cafes and more. With a choice of co-working and private office space this modern business centre is situated in the heart of Stockholm"s central business district, just round the corner from Stureplan. The efficient and modern environment is complemented by outstanding quality and services. The center offer fully equipped and modern meeting and conference rooms of various sizes. The conference staff will help you to organize meetings and conferences, including food and drinks, according to your requirements. It stands near Stockholm Central Station and the Arlanda airport express, making it the perfect location for businesses anticipating international clients. This location is fantastic for businesses anticipating international clients, and for those who value accessibility and convenience. This well designed business centre is located on the 8th floor of a central, modern building which would give your business a strategic presence as well as an accessible address. The space is accessible 24 hours a day, so you can work through your desired hours. Here, you will also have access to the fully equipped meeting and conference rooms of various sizes, highly adaptable for collaborative projects big or small. This is a fully serviced office space, with secretarial services available. There are 2 offices available at this flexible space, where you can have full access to a well designed meeting room, front desk, internet with other services that will enable businesses of any background to flourish. Close by the office is also underground parking, and it is easy to get to the airport from this highly accessible site.